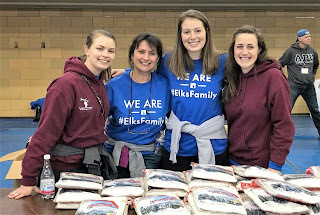 Elks headquarters staff smile while distributing thermal clothing. People like Marine veteran Simon H. Garcia, who served in the Vietnam War, who thanked every volunteer with a smile and well wishes for the holidays. 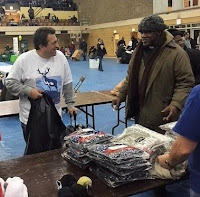 He’d occasionally lean in to ask for an extra shirt or pair of socks, noting how much his wife needed it as well. At the end of the line, it was time to pick out a new coat. Earlier, Garcia had shared his disdain for the Cubs when he saw a volunteer wearing a World Series shirt, so the White Sox jacket in the middle of one rack was like a magnet. After veterans gathered their supplies, picked out new coats and even got free haircuts provided by a local barbershop, it was time for a hot lunch. At the end of the day, Mike, the organizer, was right. 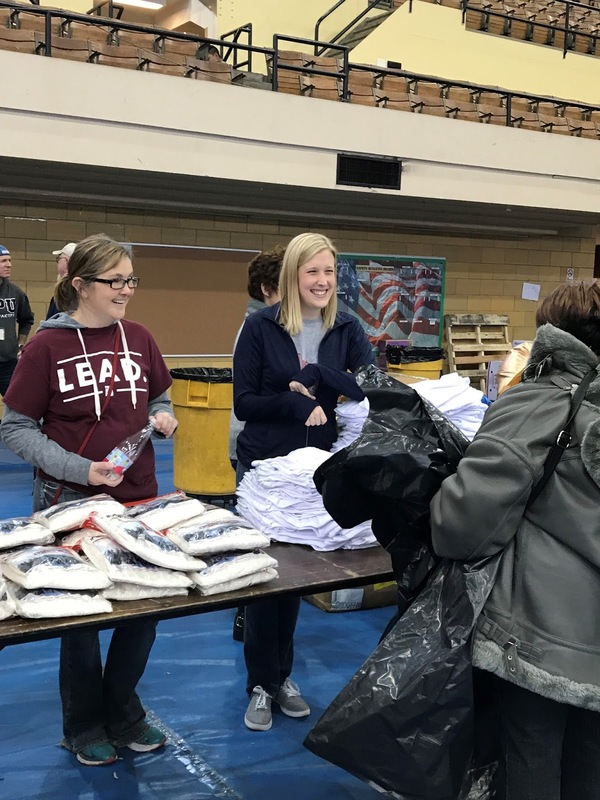 With gratitude in their eyes, hundreds of veterans thanked the volunteers for taking a few hours out of their day to help them prepare for winter. These volunteers were quick to point out that it was the least they could do to thank the vets for their service. The Elks National Foundation ensures our veterans are never forgotten. 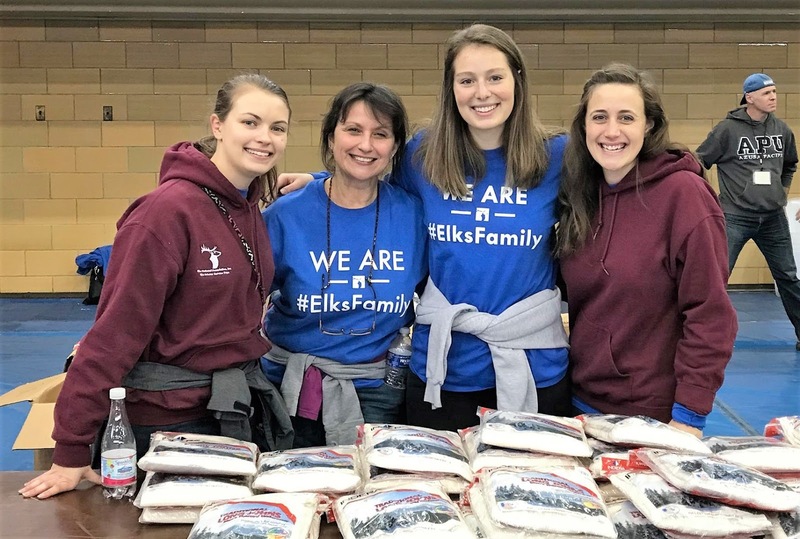 In 2017-18, the ENF granted $1.5 million to serve veterans through the Elks National Veterans Service Commission, and pledged $1 million to help the commission end veteran homelessness. For more information about the Veterans Service Commission, visit elks.org/vets.